This is Platform connecting artists and people who appreciate digital arts in the world. 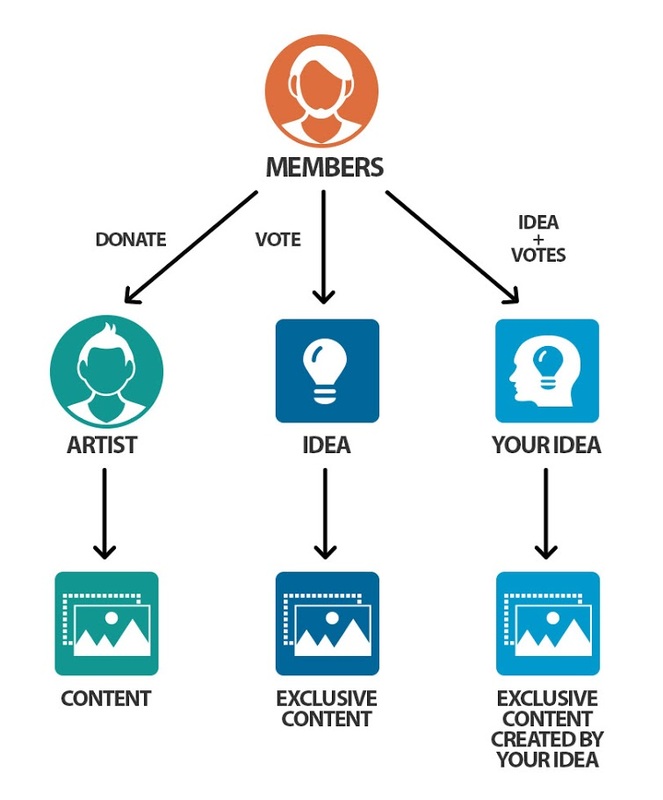 There are many functions for members and artists to help create arts we like. By Helping Artists a few dollars a month, they can continue to express and showcase their talent. As a matter fact, most artists in the world do not get paid enough for a living of drawing for the big companies. By donating, we can pledge our support to each or all of the artists in this system. thus we can continue to let them draw the best work we love. How does this system help artists? The Chart Below give a brief idea how we can manage the system and provide as much support to the artist around the world. We paying you % from payments to your affiliated artists. System rate is 25%, you will have 33% from system rate.